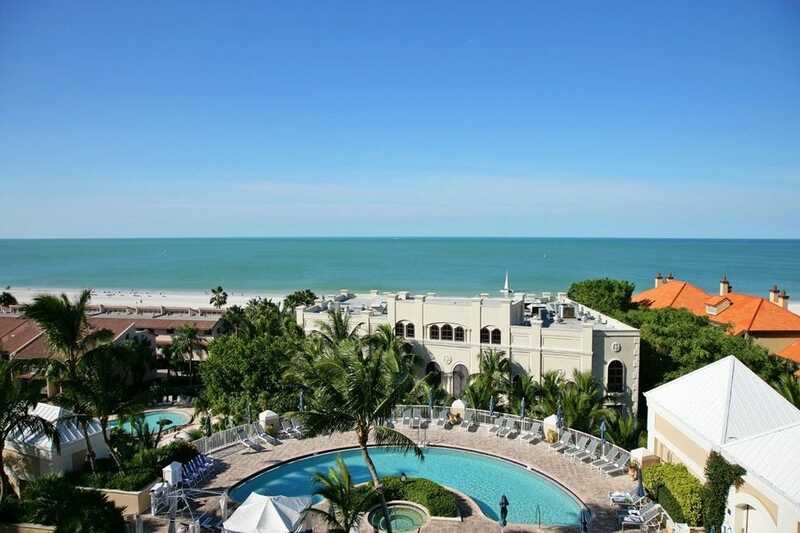 Naples over achieves at luxury vacationing with a dreamy and varied selection of hotels and resorts that pamper guests with elegant appointments, the absolute finest dining, opulent spa treatments and many times eye candy views of the beach and Gulf of Mexico. 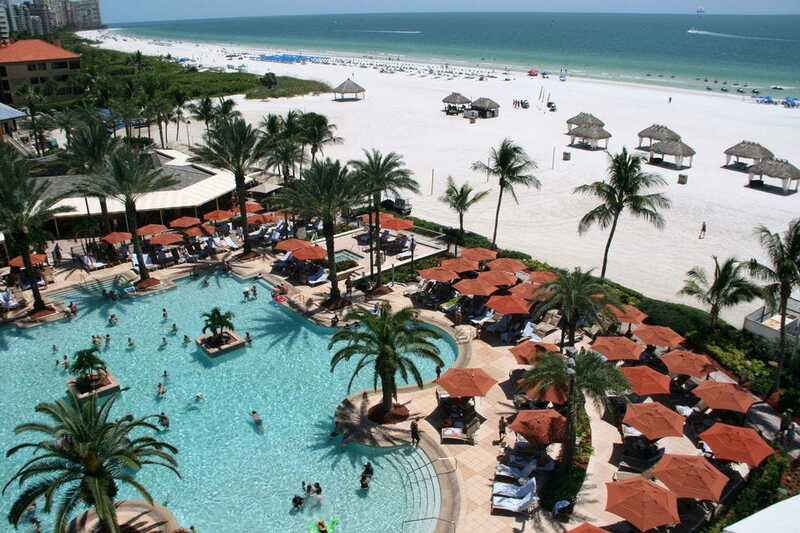 The Ritz-Carlton Naples set the tone a couple of decades ago, and other large upscale resorts such as the Naples Grande Beach Resort and the more recent Hyatt Regency Coconut Point Resort & Spa followed. 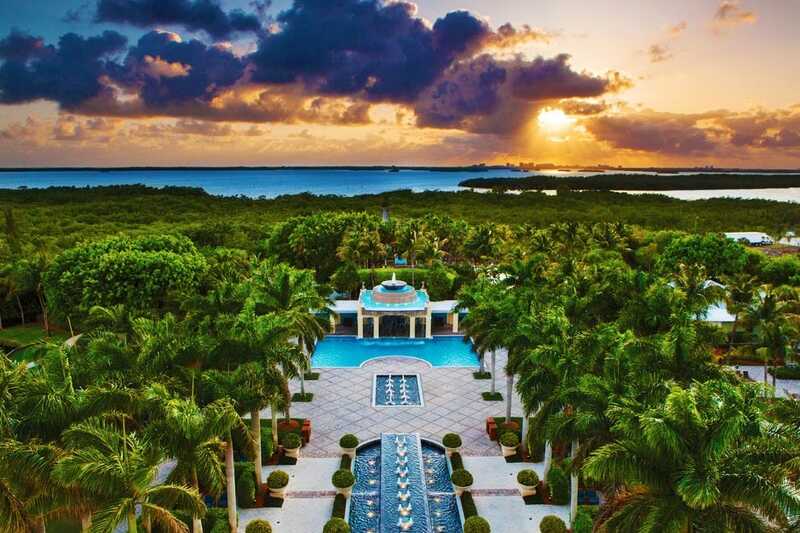 Extravagant amenities at the luxury resorts of Naples, Bonita Springs and Marco Island have gone well beyond spa treatments and raved-about restaurants. 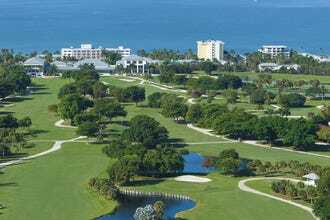 Golf is part of the equation at a few, while yacht harbor marinas and a smart downtown ambiance of intimacy and privilege reigns at one other. From silky smooth bed linens to designer furnishings, the resorts and hotels attend to every detail in creating an ensuite setting free from stress and discomfort. This list has hand picked the creme de la creme of Naples vacationing. All 10 properties maintain a standard of excellence and soothing beauty that make them the pick of celebrities, CEOs and anyone who has the good taste and resources to reward themselves with the finest things in life. LaPlaya's gracious Southern-style lobby, Thai spa, exercise room, rocky waterfall pool, pool bar and trendy restaurant menu put it on par with Miami Beach's boutique hotels. Rooms show a meticulous attention to detail; some have Jacuzzis with sea views, and all are luxurious with four-poster beds, fine bed linens, goose-down pillows, private balconies and marble baths. Of its 189 units, 141 face beachfront with private balconies. The "golf" part of the name refers to privileges on a course 15 minutes away. 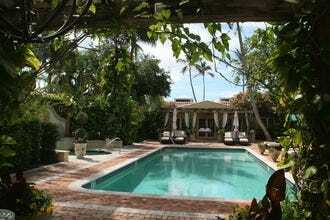 The "beach" part is obvious--a delicious slice of sands that gives way to the property's lush tropical pool and garden. Feel the warmth of Tuscany as you splash in the tiled fountain pool and dine on Italian specialties at Zizi, the poolside restaurant. Inside the lobby, a sweeping staircase and rich Tuscan tones introduce a motif that carries through the hotel's 100 studios and one- to three-bedroom suites. The spacious suites include all the comforts and modern conveniences of home, including full kitchens and screened porches and balconies with views of the lushly landscaped courtyard and grounds. A small fitness center occupies a second-story room on one side of the pool with the spa on the other. 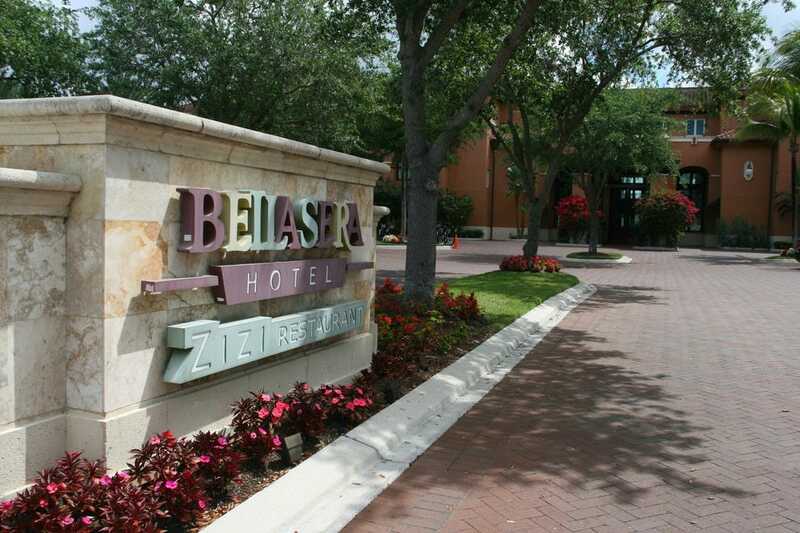 Location-wise, the hotel sits steps away from the action and smart social scene of downtown Naples, but is tucked away enough to ensure peace and romance. A free shuttle whisks guests to the beach, minutes away. 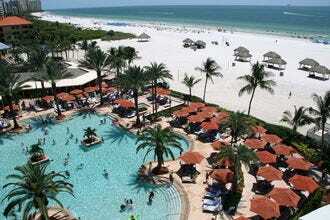 The biggest resort on Marco Island also happens to be its best in many ways. It spans a long spread of wide, sugar-sand beach. It has the best swimming pool features, the most full-service spa, some of the island's best shops, a full range of water sports options and great dining. It also offers two off-site golf courses. Guests feel the glam the minute they walk into the marble lobby with its sweeping staircases down to the pool and beach level. Families enjoy the slide pool, a pizza parlor, a game room with table tennis and a remarkable kids' program. The property currently undergoes a transformation to the JW Marriott brand. When complete in 2017, it will have added a new adults-only tower with a celebrity chef restaurants, among other major upgrades. In the thick of all the hip action downtown on Fifth Avenue South, Inn on Fifth provides an attractive alternative for nightlifers and metro types. Located next to the Sugden Community Theatre and in the midst of bars, restaurants and shops, it keeps its guests blissfully sequestered in luxurious, sound-proofed accommodations decorated in chic contemporary style. Late 2012, the fashionable inn took another step up with the addition of a concierge-level, all-suite component across the street from the original hotel. A rooftop pool in the inn and hot tub in the all-suite club create quiet retreats. Two on-site restaurants reflect the upscale level of accommodations. Plus there's an intimate spa in the original hotel. 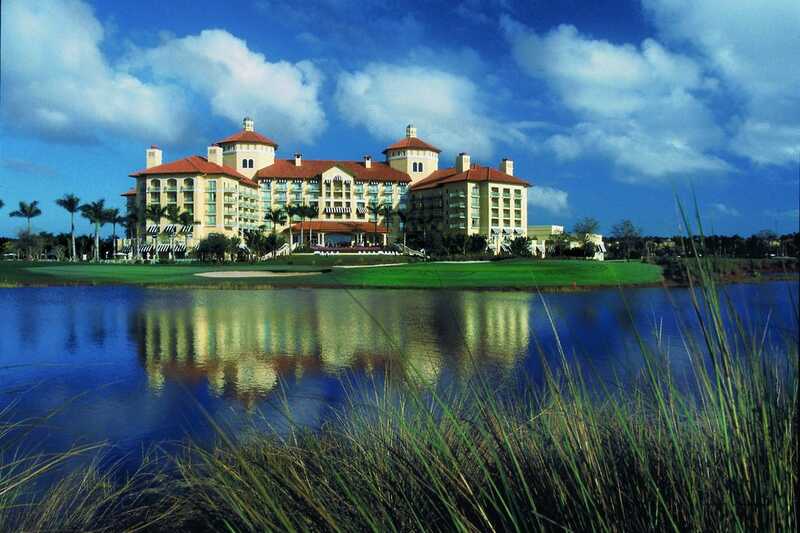 Naples' second Ritz-Carlton resort operates amid 27 holes of lush, Greg Norman-designed greens. The Rick Smith Golf Academy, a putting course and practice area, and a clubhouse with pro shop make this a complete golf resort. Its symbiotic relationship with its elder sister on the beach gives both properties the most complete menu of leisure activities possible. 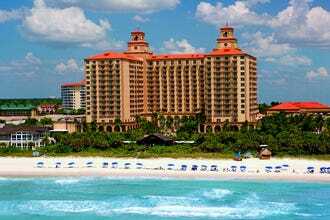 Guests at the golf resort have access via shuttle to the beach resort's spa, beach, kids' program and restaurants. Its own Lemonia restaurant gives guests a reason to stay on property. A gourmet pastry shop, pool grill, cigar bar, room service and other lounges fill the dining-entertainment bill. The golf resort also has an on-property fitness center, four lit tennis courses and a pool. Overlooking the greens with private balconies, 295 rooms and suites have it all, from cuddly robes and over-sized marble bathrooms to plush beds and furniture. Formerly Naples Grande, its distinctive red-capped tower and 15 Har-Tru tennis courts dominate north Naples's mangrove-fringed estuaries. 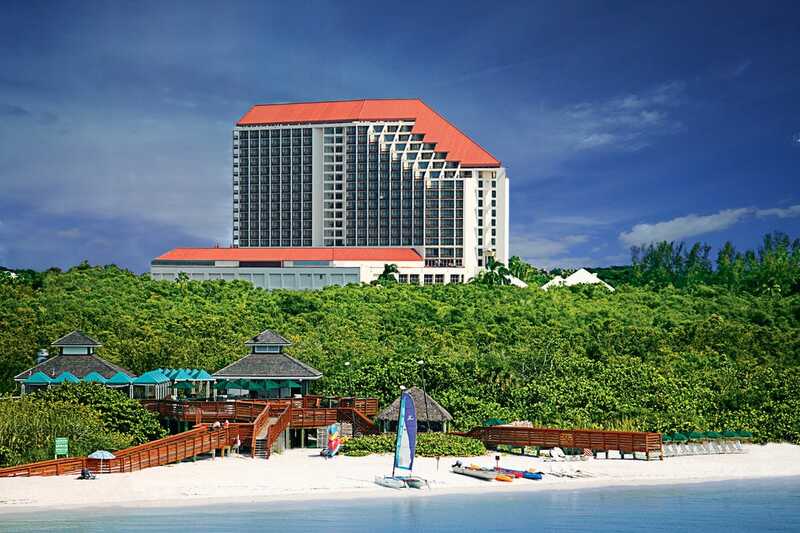 Luxurious but with beach casualness, the resort's style impresses from the moment you walk through the front door into the sleek, chic lobby with its circular waterfall, smart bar and Aura restaurant. Outside, the family pool, one of three, has a 100-foot water slide and private cabanas. Families can engage their offspring in the kids' program while they hit the spa or golf course. Tram service along the boardwalk traverses estuaries to Clam Pass Park, a 3-mile stretch of plush sands with all manner of water-sports rentals. Fifty luxury bungalows with Asian flair edge the tennis courts; another 395 rooms and 29 suites overlook the gulf. All of these are spacious and furnished with a dry bar, walk-in shower, soaking tub and class. Guests enjoy privileges at a private golf club. Rising along bay waters in the north Bonita Springs area, it offers full-service golf, spa and recreational amenities in a beautifully appointed and landscaped package. Guests take a quick ferry ride to reach the beach on a private island. There's plenty of water to play in besides the sea, however, as the resort boasts a number of lovely pools including one with a corkscrew slide and another with a lazy river. Its many restaurants and bars provide a wide array of food and beverage options. Families especially like the pool bar, the kids club, the s'more fire pits, the climbing wall and a number of water sports rentals and tours. Naples's newest resort, swank and boating-oriented,opened in 2008. By combining private yacht and recreation club settings with an Italian-motif boutique property, Naples Bay Resort can offer guests incredible amenities that include boat docking (also rentals) and a playtime complex. Said complex, a short walk away from the main resort, contains a lush lazy river and four pools – lap, zero-entry for family, waterfall and adults-only – plus an intimate spa, high-tech fitness center and friendly pool bar and grill. The yacht club is part of the main hotel and includes a handsome, private waterside lounge that is open to guests for buffet breakfast. Harbor-side, Mereday's Fine Dining manages to reinvent Naples cuisine. Plushly appointed accommodations range from hotel rooms to one- and two-bedroom suites to cottages. A free shuttle makes the short distance to the recreation club and also drives (stocked with beach towels and bottled water) to the beach. If you want the same wide beach as the nearby Marriott resort, but prefer more intimacy and exclusivity, Marco Beach Ocean Resort is the place to book. It is more elegant, although it feels a bit cramped with its 12 stories shoe horned in between condo buildings. One of its greatest asset, Tuscan-style Sale e Pepe overlooks the beach with indoor and outdoor seating. The sumptuous guest rooms all face the gulf with fully equipped kitchens. The swimming pool and its pool bar are elevated to a fifth-floor rooftop. Guests have club privileges at a nearby golf and tennis facility. The Ritz-Carlton changed the face of the Naples resort scene when it came to town. Now there are actually two Ritz-Carltons in Naples, the only town that can make that claim. The Ritz-Carlton Golf Resort shares amenities with the original beach property, meaning guests can take advantage of 27 holes of elite golf. The list of amenities ranges long and wins the resort all the kudos and awards the industry affords. An estuary boardwalk leads to its white-sand beach. Its spa is extraordinary, with its own juice bar/healthy cafe. 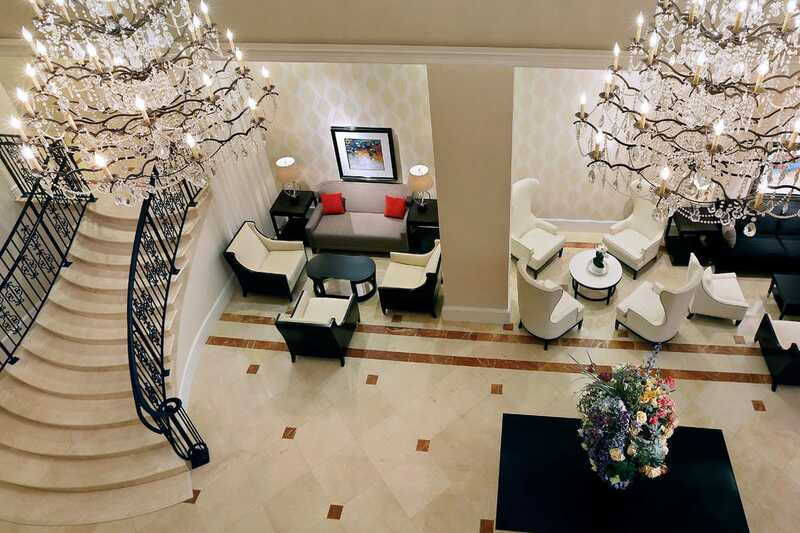 Service, fine dining, outstanding family programming, the highest quality room appointments and amenities and a feel of privilege put the "ritzy" in the experience.